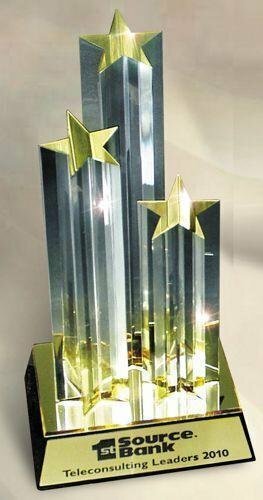 The Acrylic Trophies category has a wide variety of acrylic awards that have a star theme. 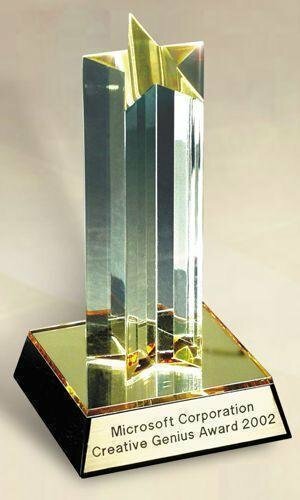 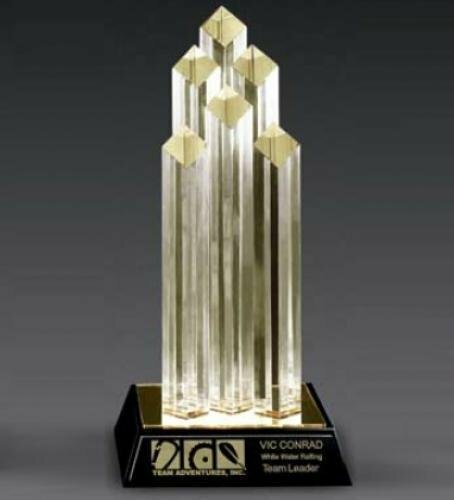 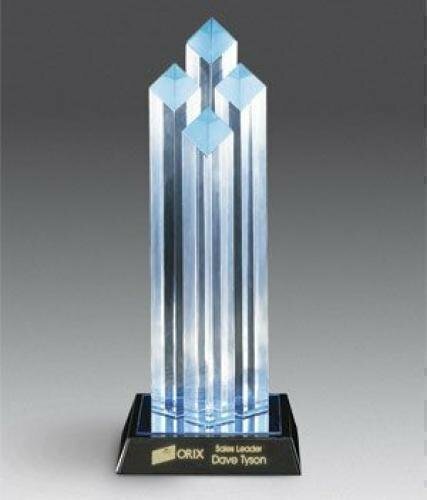 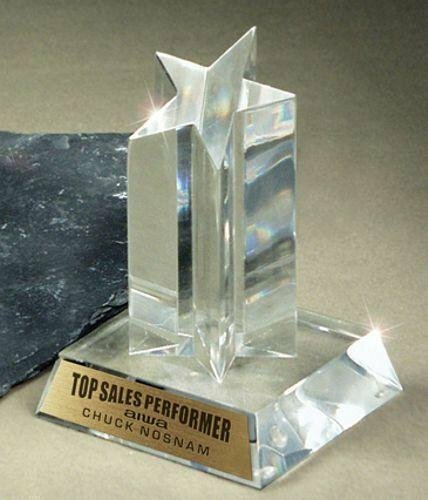 The Star Acrylic Award Triple Tower makes an excellent business award. 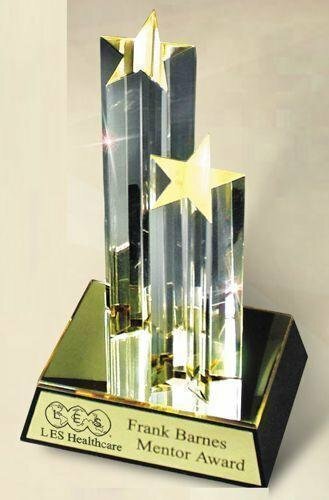 This acrylic trophy comes with brushed gold aluminum plate with a black imprint.